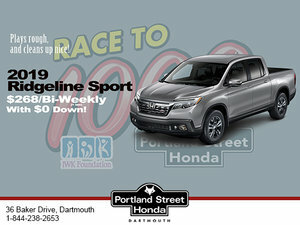 Buyers who are looking for a compact sport utility vehicle that’s versatile, fuel-efficient, fun to drive, spacious, comfortable and safe will want to have a look at the new Honda CR-V.
We know that many automakers say that about their compact SUVs, but Honda actually has the data to back up the claim that the 2019 Honda CR-V is the very best model in a wide range of segments. 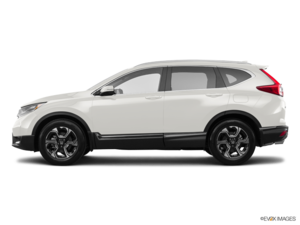 For example, the new 2019 Honda CR-V is powered by a 1.5-liter, turbocharged four-cylinder engine with 190 horsepower. That makes the CR-V one of the most powerful in its class. On the flip side, the CR-V has an average fuel economy rating of just 8.0 liters per 100 kilometers. 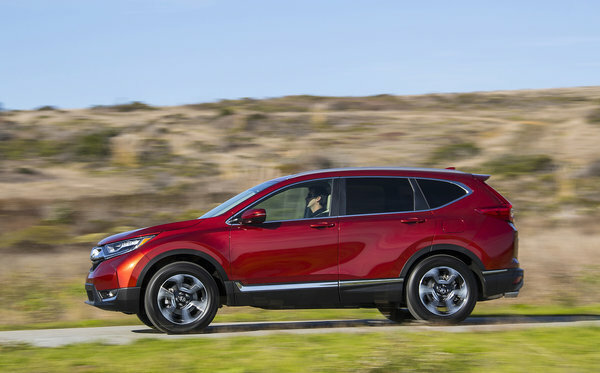 All you need to do is compare the fuel economy ratings of other sport utility vehicles to see that the new CR-V is the most fuel-efficient in its segment, even with all-wheel drive. It also offers more safety equipment in most of its versions than other utility vehicles. Thanks to Honda Sensing, you’ll get adaptive cruise control, automatic braking, and lane departure prevention in every AWD Honda CR-V.
And then there’s the sheer number of version offered in the 2019 Honda CR-V. Let’s take a closer look. 2019 Honda CR-V vs 2019 Hyundai Tucson: How Can You Choose?